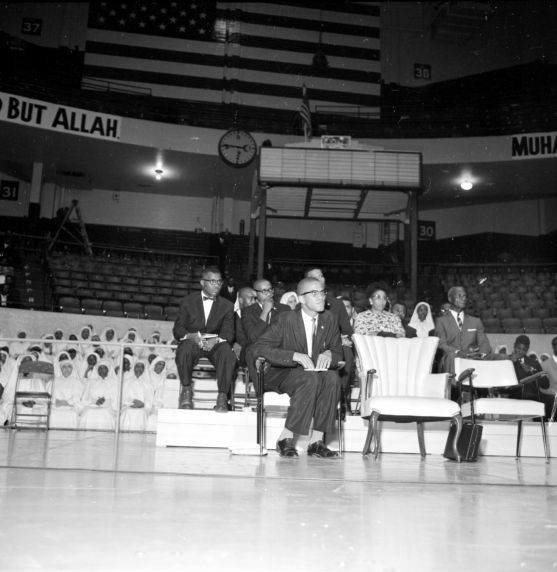 Over 3,500 members and supporters filled Detroit's Olympia Stadium for a national protest rally by the Nation of Islam (NOI). The meeting was convened to protest the shooting of two NOI members by Los Angeles Police officers. At center, Malcolm X.